Dubspot @ NAMM 2014! Part 1 – Synth Mania w/ Moog, Elektron, Dave Smith, Waldorf, Nord, and More! One of the most beautiful synths on the floor at NAMM 2014 was the new Moog Sub 37. It might have also been one of the best sounding devices we heard (not a surprise from Moog). 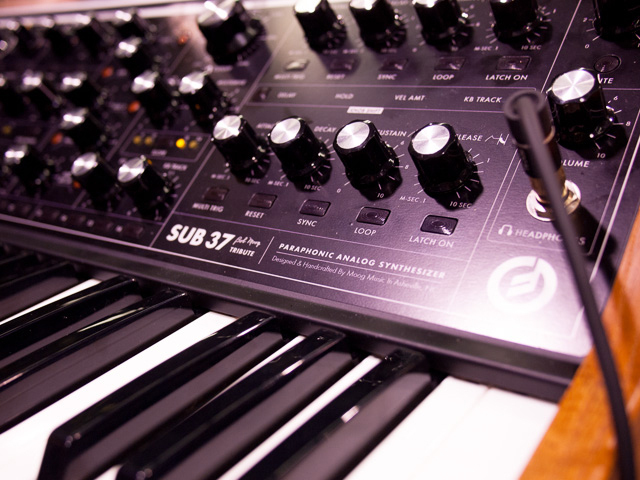 The Sub 37 Tribute Edition is a 2-note paraphonic analog synthesizer built on the Sub Phatty sound engine. Its panel features 40 knobs, 74 switches, and has a dedicated LCD display. The retail price of the Sub 37 is $1,579, according to Moog’s website. 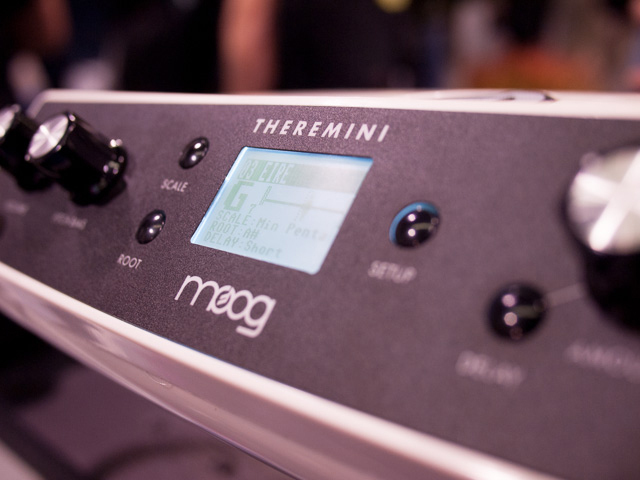 What surprised us more than the Sub 37 this year at the Moog booth was a new, modernized version of the Theremin, called the Theremini. Priced at $299 and looking like a space age console, the new Theremin offers assistive pitch correction and scale modes to keep your playing in key. The Theremini will cost approximately $299 when it hits stores later this year. 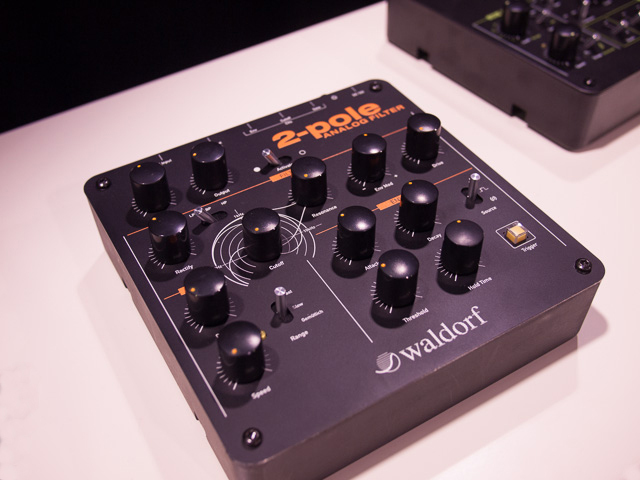 What we had initially thought would be a new synth from Waldorf has turned out to be something very different. The new box does look very much like the Rocket (same size, shape), but it’s a filter to be used with other instruments. A look at the inputs and outputs reveals one input jack, one output jack, and then something interesting – three CV inputs (envelope, cutoff, gate) which will allow you to integrate the effect nicely with all sorts of analog and digital gear. 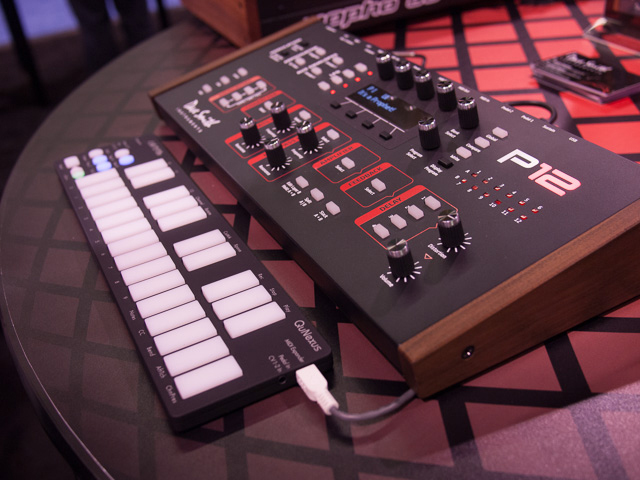 Elektron had their latest boutique device of desire on display at NAMM 2014, the Analog RYTM. The Analog RYTM is an 8-voice analog drum machine and synthesizer hybrid that supports samples (wow!) and looks like a cross between the new Maschine and a Machinedrum. 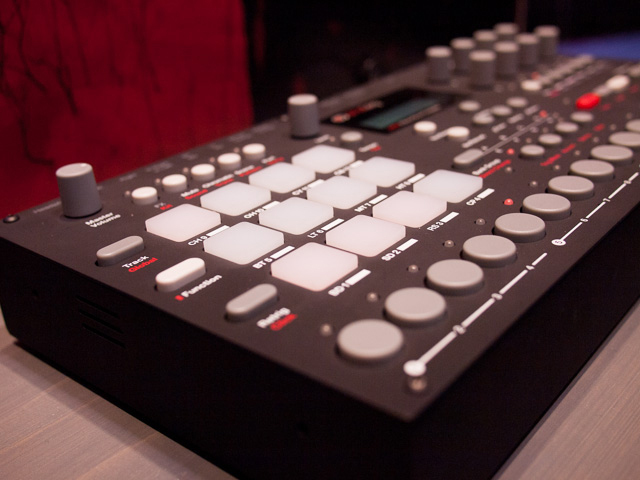 It has the standard Elektron sequencer and 12 drum pads on the left side. The layout should allow for some cool simultaneous performance and parameter tweaking possibilities. 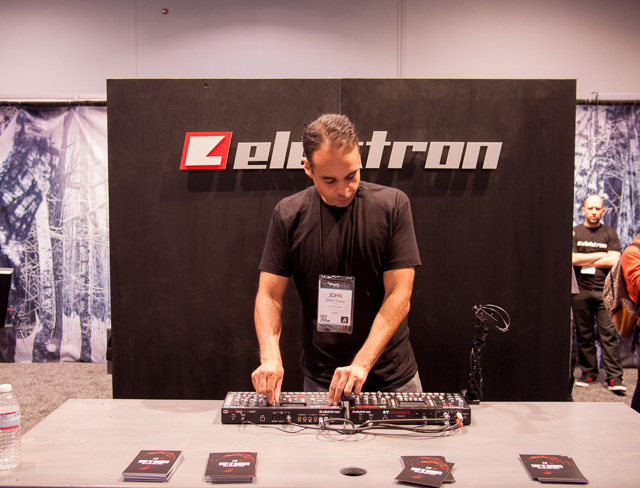 In addition to new gear, Elektron had seminal techno and house producer John Tejada performing on an Octatrack and and Analog Four (to fantastic effect). While Dave Smith Instruments revealed the Prophet 12 last year (and what a beautiful beast it was), the company announced a (gorgeous) desktop version of the instrument that packs all of the same feature into a smaller package. While the price is not easy to get into (approximately $2,300), it’s one of the best sounding synths we have heard in recent years. 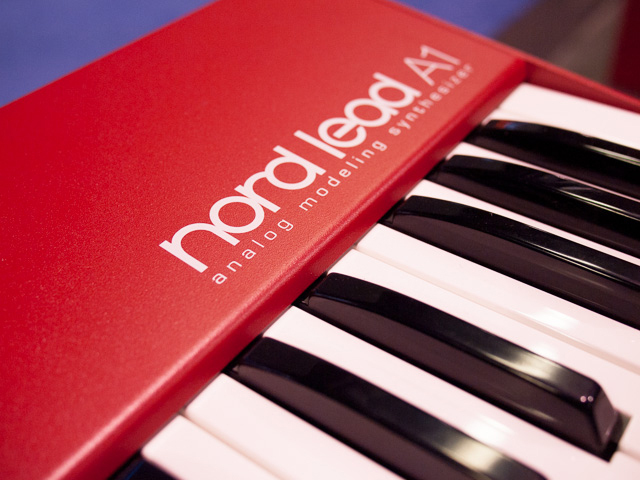 Nord has unveiled their latest analog modeling synthesizer in the Nord Lead A1. The synth boasts plenty of knobs on the front of the unit and according to Nord, the Lead A1 “allows for far speedier programming” than other synthesizers through customizable parameter shortcuts. The synth features analog and digital oscillator waveforms, built-in effects and USB MIDI as well as a long list of other impressive features. The Nord Lead A1 will ship in April at an estimated $1799. Just as we found the mythical Studilogic Sledge at NAMM this year, we witnessed someone finishing a session on the synth, take off a pair of headphones and say,”Man that thing sounds huge!” The Sledge is a synth that lives up to it’s name. It’s an eight voice polyphonic virtual analog synthesizer that is “powered by Waldorf” and packs a lot of control into the surface controls. 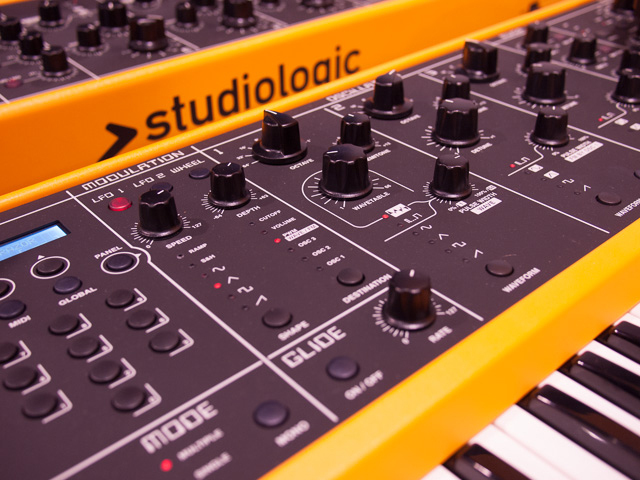 The Studiologic Sledge is available now at a street price of approximately $1599. Dubspot will be back at NAMM 2014 tomorrow and throughout this weekend. Stay tuned to our blog for more updates on music technology from the floor! « Introducing the DS1 MIDI Mixer! A Creative Collaboration Between Dubspot and Livid!